Magic the Gathering Player Appreciation Day at Swarthmore! Please join us for an all-day *FREE* event to thank you, the players, for making Magic the Gathering great at Showcase Comics. Come into the Swarthmore store any time we are open and receive a *FREE* booster pack of Rivals of Ixalan, simply for playing at least one game of Magic of *ANY* format! You will also be entered into our raffle for prizes secret and sundry! Additionally we will be offering "Learn to Play Magic" classes from 4-6:30, ideal for new or returning players. Magic the Gathering Ixalan Prerelease! 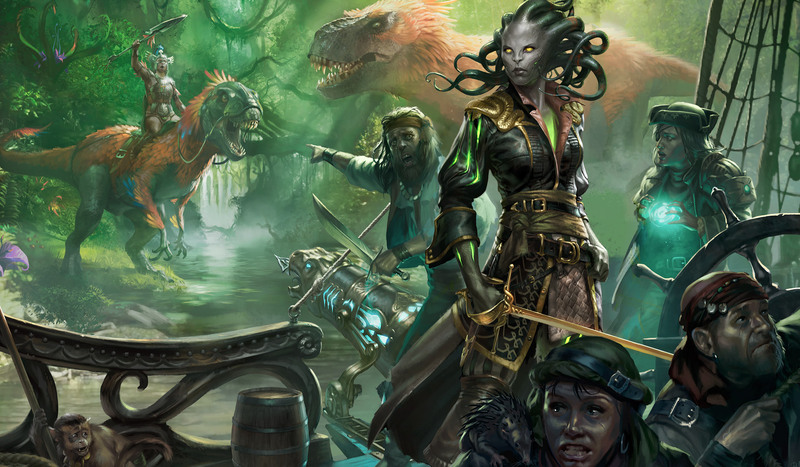 Join us for pirate and dinsoaur fun with Magic the Gathering's newest set, Ixalan! Our sealed, single-player tournaments will be held on September 23rd and 24th. Registration opens at 11am and packs will be handed out at noon. Preregister in advance for $25, or pay $30 the day of the event. See you all there! Magic the Gathering Hour of Devastation Prerelease Swarthmore! 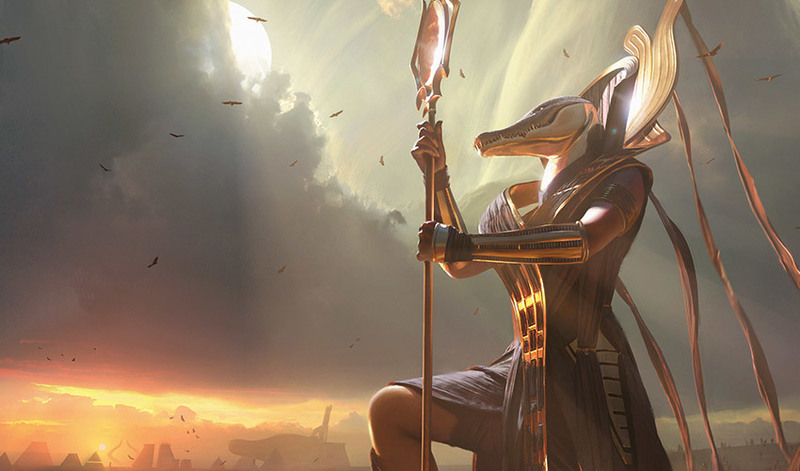 Join us for the return of the God Pharaoah and your first chance to open cards from the newest Magic set, Hour of Devastation! Our sealed, single-player tournaments will be held July 8th and 9th with registration open at 11am and packs being handed out at Noon. Preregister for $25, or pay $30 the day of the event. See you there! Magic the Gathering Amonkhet Prerelease! Join us as we dive into the mysteries of the dark and mysterious plane of Amonkhet! Our sealed, single-player tournament will be held April 22nd and 23rd with registration open at 11am and packs being handed out at Noon. If you preregister it is $25, or $30 the day of the event. See you there!